AD: Save big on a pre-owned Jaguar or Land Rover with Sime Darby Auto Connexion this weekend! Home » Special Coverage » Advertorial » AD: Save big on a pre-owned Jaguar or Land Rover with Sime Darby Auto Connexion this weekend! Always fancied a Jaguar or Land Rover? Well, now’s the best time to own one with Sime Darby Auto Connexion’s Pre-Owned Clearance Sale, as there are great deals to be had on top of the tax holiday savings from the zero-rated goods and services tax (GST). 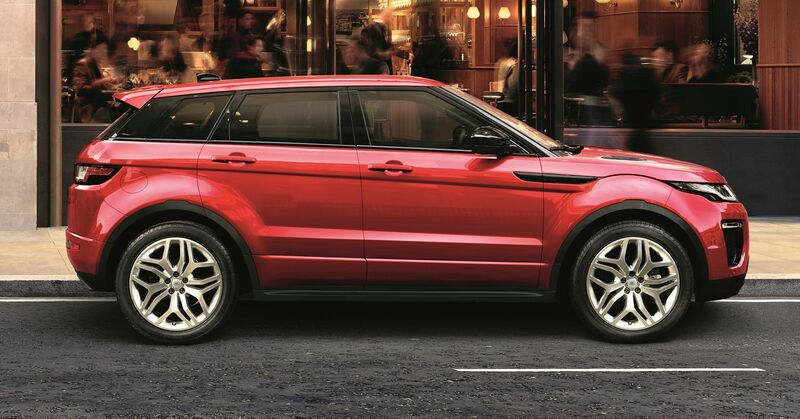 Browse from various Approved Pre-Owned models at seriously attractive prices, including the fashionable Range Rover Evoque from just RM299,800*. In need of something more spacious and elegant? There’s the Jaguar XF from only RM338,800*, while the Jaguar F-Pace with a powerful 3.0 litre supercharged V6 is a steal from just RM358,800*. There are other new and pre-owned models available at unbeatable prices. Only models with a full mileage and service history will be Approved, and all cars undergo 165 rigorous checks covering every aspect of the vehicle to ensure they meet the exacting standard and requirements for their model and age. Any work done will utilise genuine Jaguar Land Rover parts of the highest standards. Better yet, each Approved vehicle will have a minimum of a comprehensive two-year warranty** – certain models will even have the full five-year warranty** still available – plus 24 months of Jaguar Land Rover Roadside Assistance. So come on over to Sime Darby Auto Connexion Petaling Jaya (Waze location, or call 03-92123103) this weekend, August 4 and 5 from 9am to 6pm to take advantage of these deals! You can also visit http://www.landrover.com.my/offers or http://www.jaguar.com.my/offers. * Promotion is based on availability and applicable to selected models and units only. While stocks last. ** Minimum of 2 years or 100,000 km and up to 5 years or 150,000 km, whichever comes first. Subject to vehicle’s age and mileage. Drive responsibly on and off road. Image shown is for illustrative purposes only and may vary from actual vehicle.